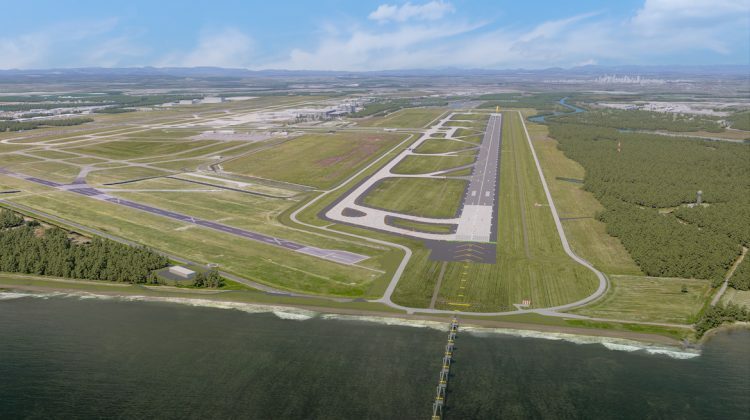 Brisbane Airport says new taxiways linking the new parallel runway with the domestic and international terminals and the rest of the airfield have been completed. The construction of the taxiways would allow for the opening of a public road under the taxiways in late September for access to airport facilities such as the general aviation terminal, Royal Flying Doctor Service and plane spotters’ area. Brisbane Airport chief executive Gert-Jan de Graaff said the completion of the taxiways was a significant milestone in the new runway project, which began in 2012 and was due to be finished by 2020. “As the finish line for the construction of the biggest aviation project in Australia draws close it is easy to forget just how much planning it has taken to get to this point,” de Graaff said in a statement on Thursday. The new runway, which will be 3,300m long and 60m wide, is located about two kilometres to the west of existing Runway 01/19 on what was previously a 360ha greenfield site. 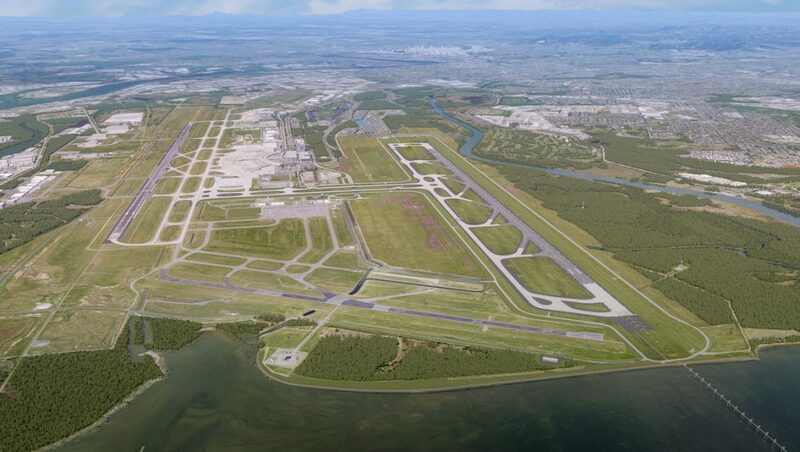 Once fully operational in 2020, the runway was estimated to effectively double Brisbane Airport’s current capacity, drawing comparisons with Singapore’s Changi and Hong Kong International. Brisbane Airport has said previously it expected annual passenger traffic through its domestic and international would more than double from 22 million in 2014 to 50 million by 2035. It also forecast the number of annual aircraft movements would grow from 227,000 currently to 360,000 by 2035 and 500,000 by 2045. VIDEO: An overview of the construction of the third runway from Brisbane Airport’s YouTube channel. de Graaff said work on the runway was ongoing at a great pace. “While this milestone is a great achievement for the project, it is only the tip of the iceberg for what is to come in the next few months,” de Graaff said. 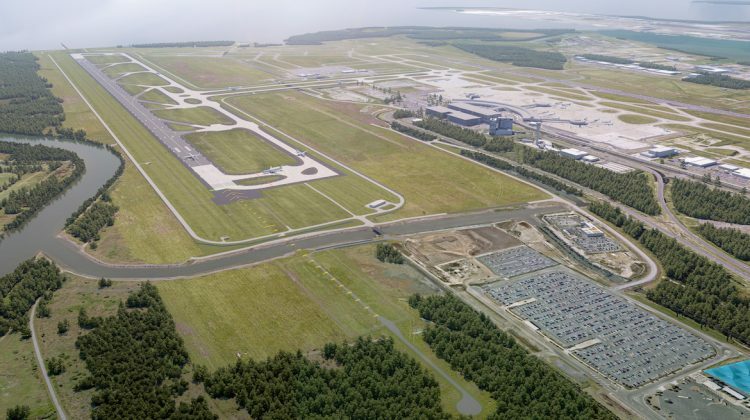 “The focus now is on the physical runway and broader taxiway systems which are starting to take shape with the initial base layers of crushed rock already being placed, working from the centre out. The road works contract, worth $120 million, was won by McConnell Dowell Constructors in 2017. The company’s managing director Jim Frith described the road works as an “engineering feat”, with the taxiway bridges designed to withstand about 710 tonnes, or the weight of a fully-laden Airbus A380. “To put the complexity of this project into perspective, the Underpass is being constructed five metres below sea level, meaning that the dewatering system is required to remove the equivalent of the volume of two Olympic swimming pools in a single, 24-hour period, while the physical structure is comprised of approximately 20,000m3 of concrete, and 4,000 tonne of reinforced steel,” Frith said. The January/February 2018 edition of Australian Aviation magazine took a closer look at Brisbane Airport’s new parallel runway. It can be read here. 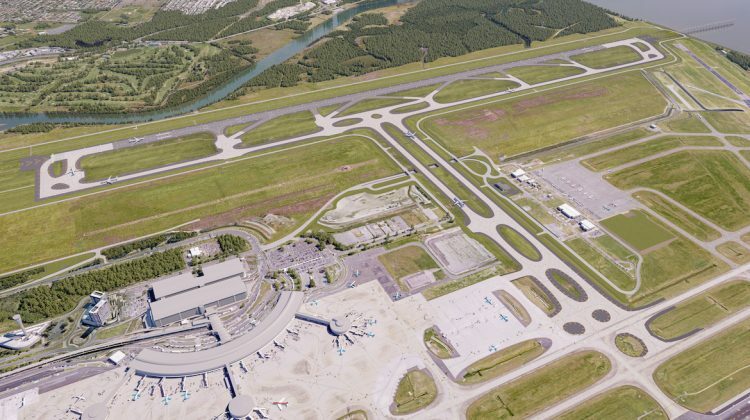 Looking at the plan picture, would someone with the knowledge explain why the new taxiways are located where they are? It looks like locating them further towards the sea on the far side of the ga terminal would have avoided the need for the expensive tunnels. That would still seem to connect easily to the new and old runways. However, the plan as constructed makes the viewing area brilliant. 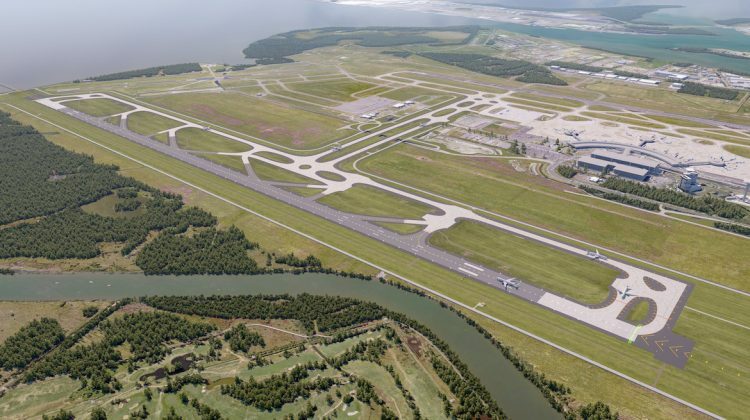 It’d be a longgg drive back to the international terminal for anything coming in over the bay and the taxiway shown there is about 1/2 way along the new runway. Is runway traffic going to be primarily determined by direction of departure / arrival, or by terminal location? Much of Brisbane’s domestic traffic heads south, whilst a significant amount of its international traffic heads north. In some respects proximity of the terminals to the runways looks to be conflicted, as international arrivals and departures would seem to be better suited to the new runway but have easier access to the old, whilst domestic arrivals and departures would seem to have far easier access to the new runway than international flights. I thought Max T/off weight of a A380 was 565 tonnes ? not 700+ plus tonnes . . . . The runway to be used for arrivals/departures is more likely to be determined by whether the wind is easterly or westerly. Manchester Airport Uk has a stepped parallel runway layout where the southern runway is used for arrivals with an easterly wind and departures for a westerly wind to minimise taxiing distance to terminals. In Brisbane’s case the new runway would be best used for arrivals with a westerly blowing. Yes, a little knowledge is indeed a dangerous thing. Mind you, Brisbane tends to get a south-westerly followed by a north-easterly sea breeze most of the time. Thus 01/19, the alignment of which is really closer to north-south, 00/18, so there’s usually a bit of crosswind either way, but rarely enough for heavies or even mediums to be concerned about.